Whether a provisional store or a supermarket, consumers see lots of products from different brands wrapped in different styled packages. These packages gave a product unique and attractive look that makes a buyer to go and check what these packets contain or simply say they want to buy the packet to take home. So, keeping in mind this consumer convention, Paras Printpack has brought a range of various high quality and designer pouch packaging solutions for you to buy and sell your products in all over the world. Gusseted Bags & Pouches:The side gusset pouches have become a popular choice among consumers as well as retailers as they are more convenient, durable and stylish. Because of their easy to handle and less space to acquire quality, they are the latest trend setter in packaging industry and we offer you the wide range of these gusset pouches in flexible sizes, shapes and structures. Best for packaging of snacks, bulk packaging, etc. 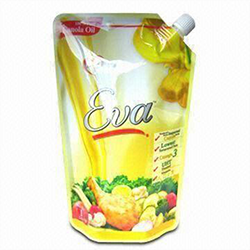 Spout Pouches:Where your liquids & fluids are concerned, spout pouches are the best packaging options. We are the best spout pouches manufacturers and offer puncture resistant & sturdy pouches. These pouches carry a pour spout for effortless filling process of any liquids and we ensure that it definitely pass the drop quality check without any seepage. 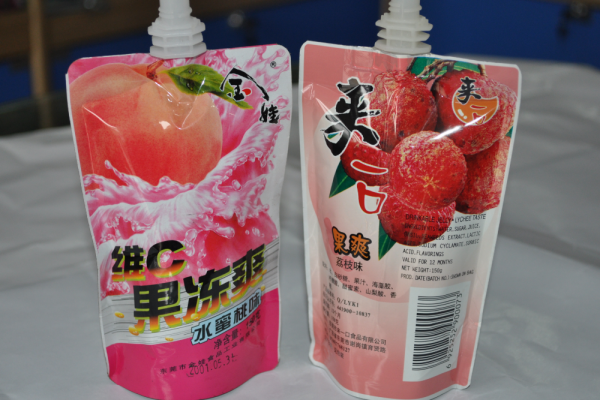 Spout pouches are best suited for beverage packaging or powdered material packaging. 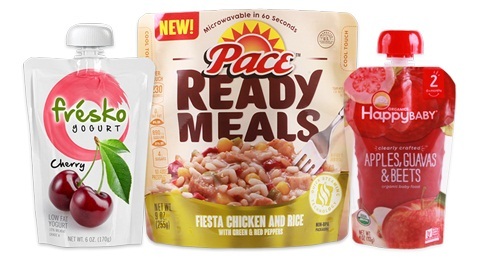 We are in pouch manufacturing market for almost 18 years and understand the needs of many industries like Food & Beverages, Confectionery, Pharmaceutical, Automobiles etc. We cater larger as well as smaller deliveries to markets as per requirements.